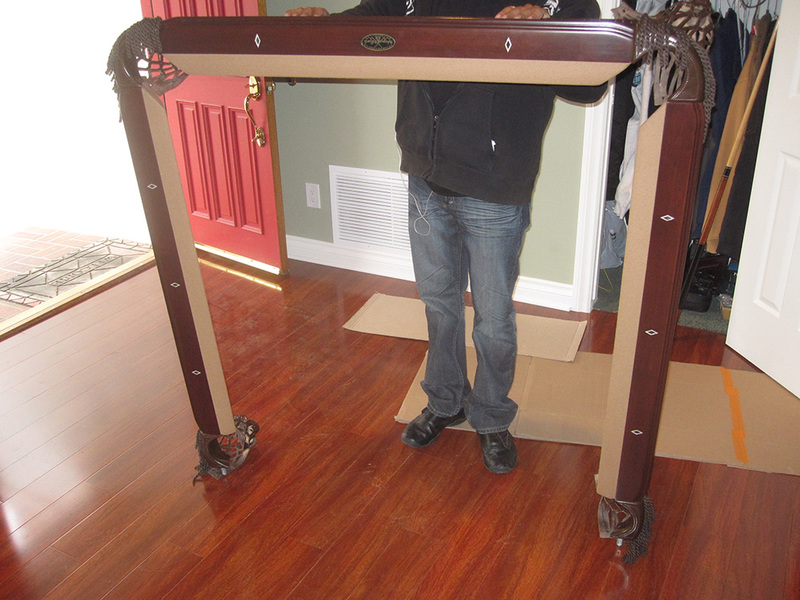 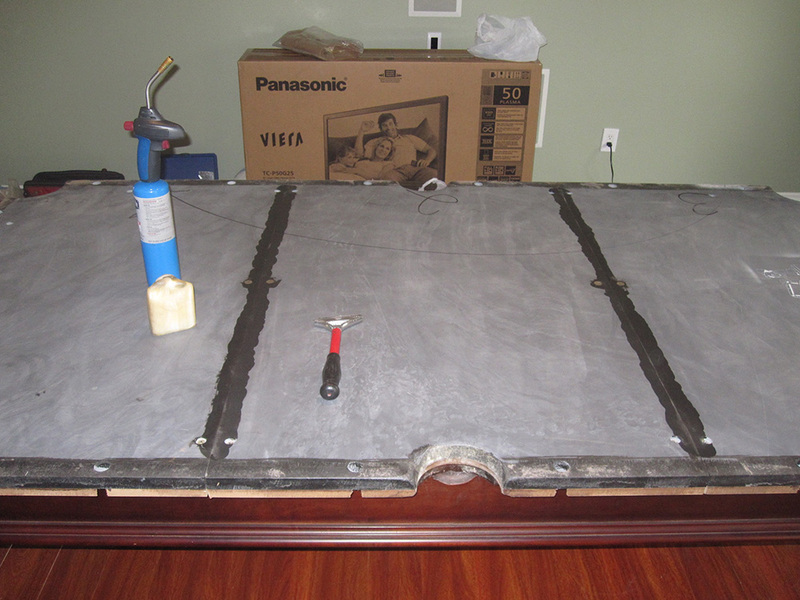 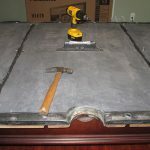 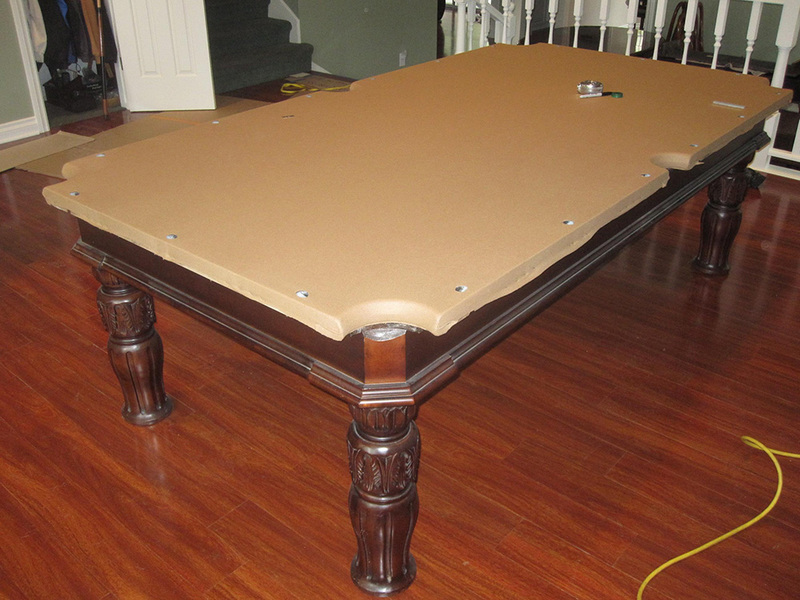 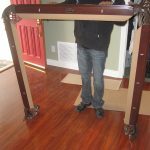 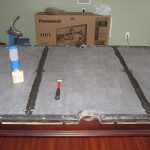 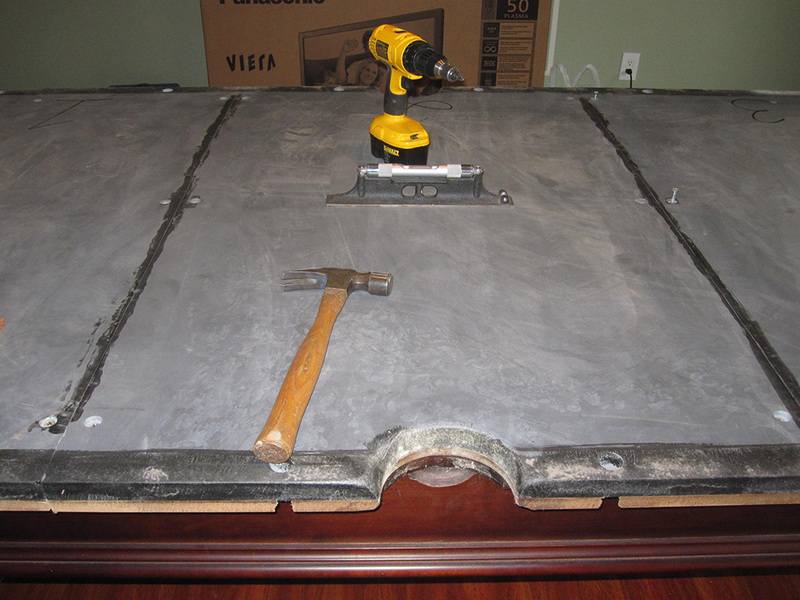 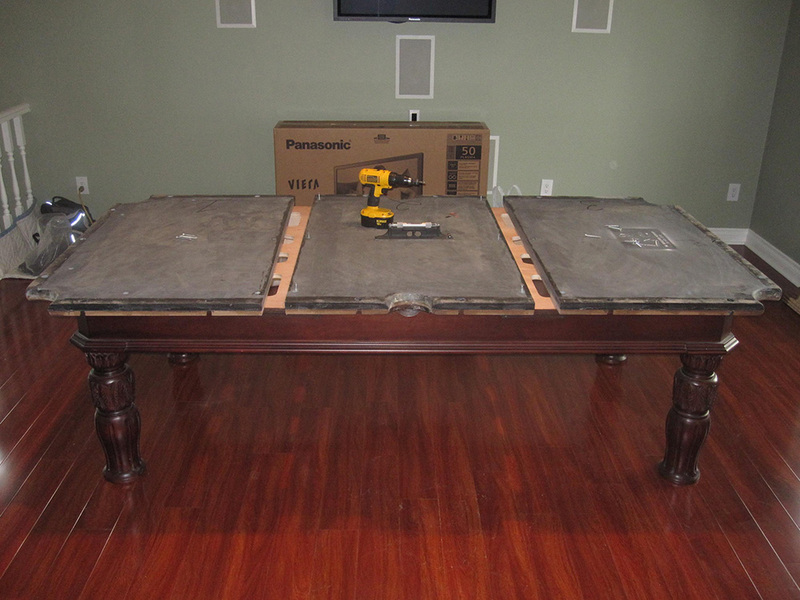 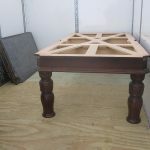 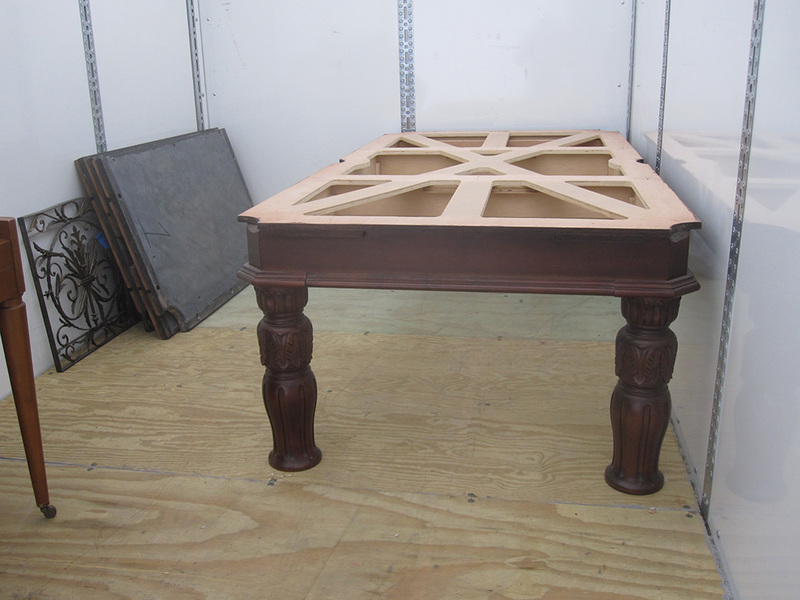 This is an Artisan pool table we had disassembled and placed in a storage pod a couple of months ago. 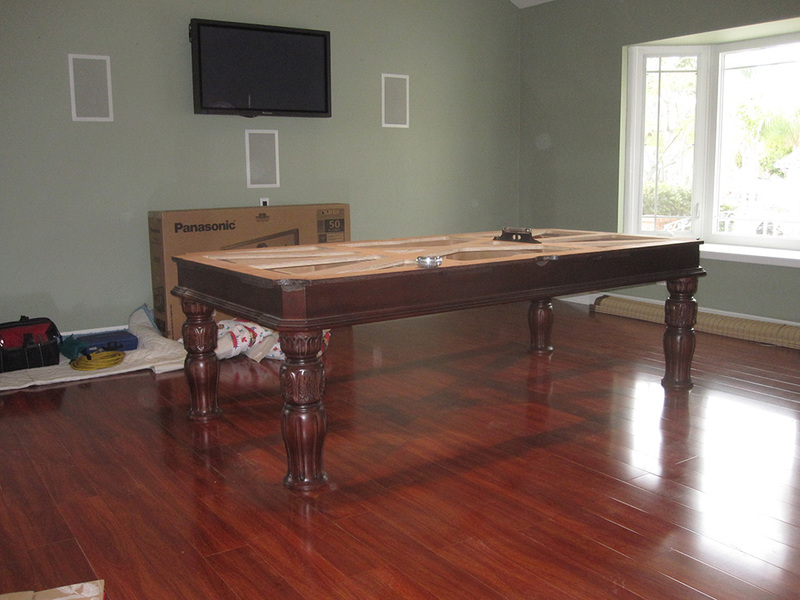 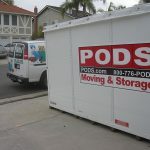 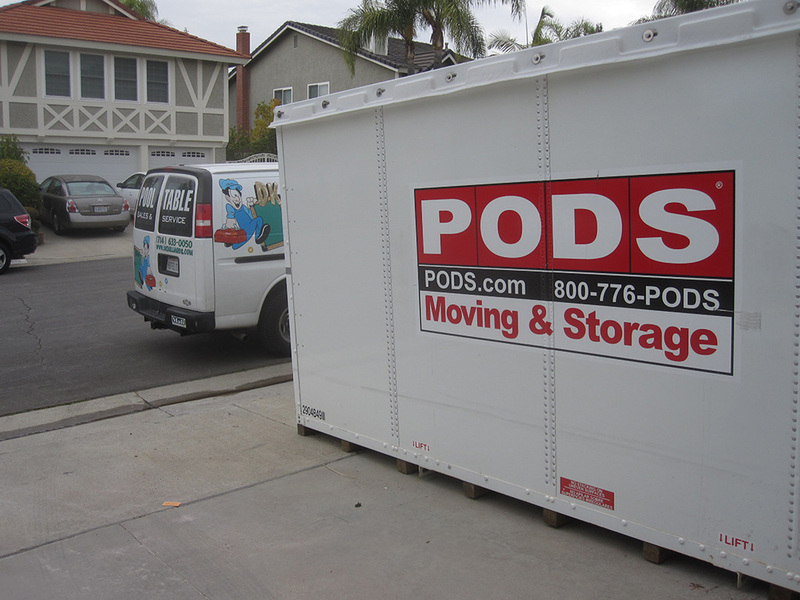 Yesterday my assistant and I were back at this beautifully remodeled Yorba Linda, CA home to reinstall the pool table. 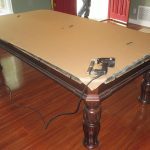 On the first leg of this new flooring move we had taken the rails with us to be re-cushioned in the shop. 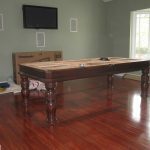 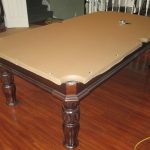 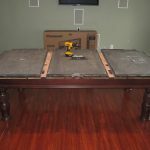 We moved the pool table parts out of the storage pod and back inside the home and re-assembled it atop newly installed hardwood floors. 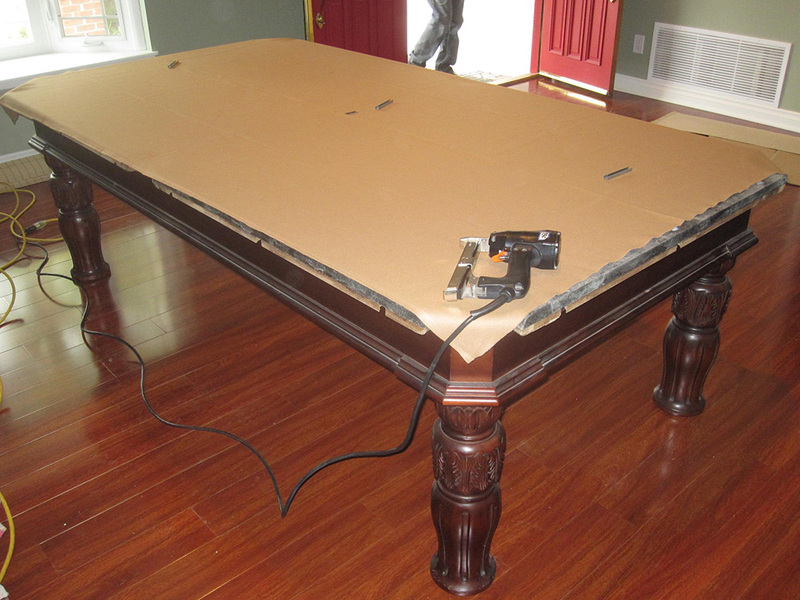 Our clients also wanted us to replace the old worn out Khaki felt with new Mali 10820-f Camel. 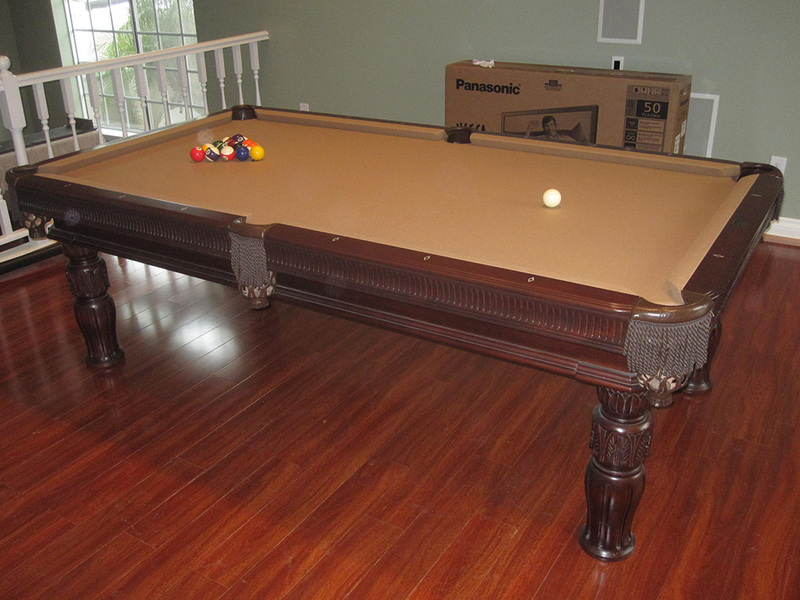 So now with new, upgraded K-66 cushions and brand new felt this eight foot Artisan Billiards table looked and played like new!